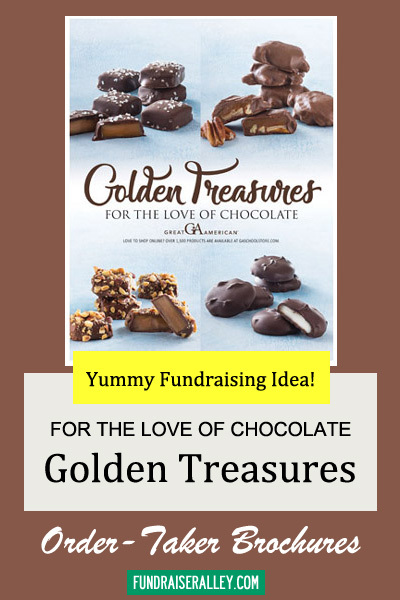 The Golden Treasures, by Great American, brochure is one of the most popular choices for fundraising. It includes 6 varieties of yummy candy, including Katydids. 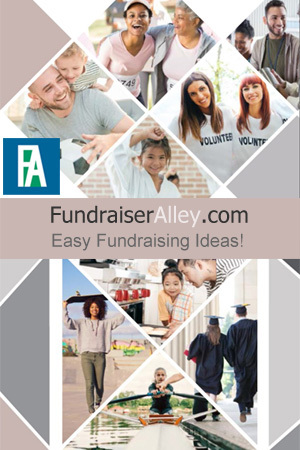 The colorful brochures are free, and earn a 40% profit. 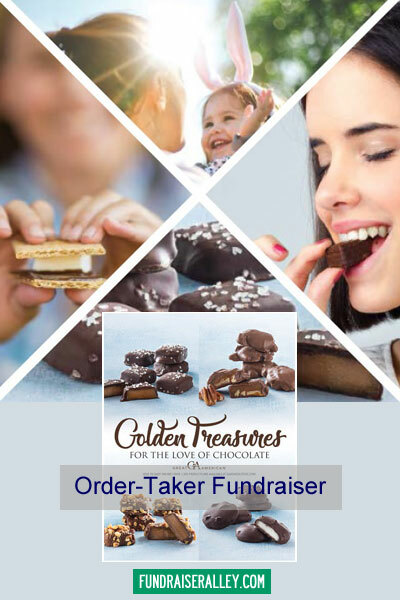 A favorite fundraiser choice for schools and PTA/PTO. 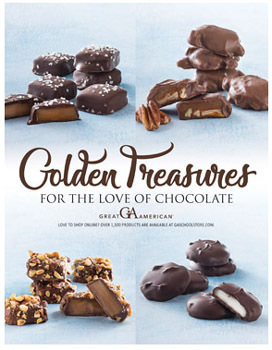 This colorful brochure features 6 varieties of mouthwatering candy, including the best selling Katydids. Most are in boxes, except Katydids and Imps are available in boxes or tins. Prices vary.